It’s time for traditionalists to move over! 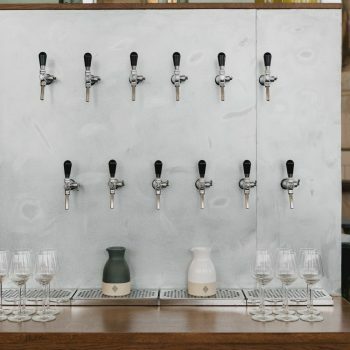 Wine on tap is here to stay. Not only is it better for the environment, but it’s better for customers as it allows them to try more types of wine by the glass, and it’s better for the wine, as it stays fresher for longer. It’s also better for bars and restaurants, because it takes up less space, and is quicker and easier to serve. 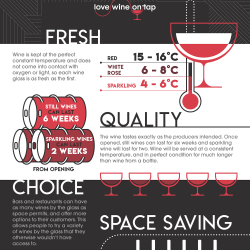 Here’s a handy infographic to guide you through the benefits of wine on tap.